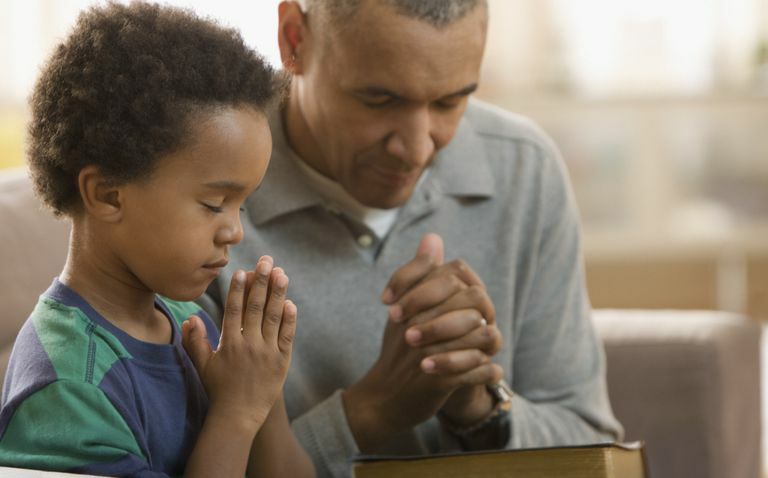 What Should Parents Tell Kids About Religion? However, that might be a mistake. You may not follow any religion and you may be happier if your children never follow any religion, but that doesn't change the fact that religion is an important aspect of culture, art, politics, and of the lives of many people your children will meet over the years. If your children are simply ignorant about religion, they will be missing out on a lot. Another (and perhaps more serious) problem with ignoring religion lies in how children will react to religion once they are old enough to make their own decisions. If they are unfamiliar with religious belief systems, they will be easy targets for evangelists of just about any faith. Your children will lack the intellectual tools necessary to fully understand and evaluate what they are hearing, thus making it more likely that they adopt a bizarre and/or extreme religion. So if it is a good idea to teach about religion, how should it be done? The best way of going about this is to simply be as fair and objective as possible. You should explain, using age-appropriate materials, just what it is that people believe. You should also strive to teach about as many religions as possible, rather than stick to the dominant religion in your culture. All of these beliefs should be explained equally, including the beliefs from ancient religions now usually treated as mythology. As long as you don't privilege any one religion over another, your children shouldn't, either. When your children are old enough, it may be a good idea to take them to the worship services of different religious groups. This way, they can see for themselves just what it is that people do. There is no substitute for first-hand experience, and someday they may wonder what it is like inside a church, synagogue, or mosque. It's better they find out with you, so you can both discuss it after. If you are afraid that by teaching about religion you will also be teaching them to have faith in religion, you shouldn't be too concerned. Your children may find this or that religion to be very interesting, but you will be presenting many faiths as equals, with none deserving of any more credence than any other. This makes it very unlikely that they will uncritically adopt any of those faiths in the same manner as a child who is raised specifically to follow a particular religious tradition. The more they know about the faith claims of different religions and the more sympathetic they are to how strongly every group sincerely and honestly believes these mutually incompatible ideas, the less likely they are to start accepting any one set of those claims to the exclusion of the others. This education and these experiences are, then, very much an inoculation against fundamentalism and dogmatism. An emphasis on critical thinking is also important. If you raise your children to be skeptical as a general rule, it shouldn't be necessary to go out of your way to have them treat religious claims skeptically. They should end up doing that on their own anyway. Skepticism and critical thinking are attitudes which should be cultivated across a broad range of topics, not something to focus on religion and forget about otherwise. An emphasis on respect is also important. If you teach your children to ridicule believers by example or design, you will only be raising them to be prejudiced and bigoted. They don't have to accept or agree with, or even to like, the religious beliefs of others. However, they shouldn't make a point of treating believers as if they aren't deserving of the same respect as atheists and the non-religious. This will not only save them from unnecessary conflict, but it will make them better people overall.